You know when you love something so much that it baffles you that someone could dislike it? That’s how I feel about spicy food. Not so-spicy-I-want-to-rip-my-esophagus-out, but I like a bit of heat. Catherine from Never Stationary didn’t feel the same. So we came together to do a project. I wrote why I love foods with a kick and recommended a handful of my favorites (sriracha, pepper jack cheese, buffalo sauce, etc.) and she agreed to have an open mind to spice. Did it change her perspective? You’ll have to see our dueling opinions for yourself. Then come back here tomorrow–we did the same activity with one of Catherine’s favorite genres, one I always judged and avoided. I tried it out, and I definitely have a few thoughts to share. Her blog is awesome! & the project is actually one I did in my senior year of high school and really enjoyed it, so I figured a revisit would be worthwhile. 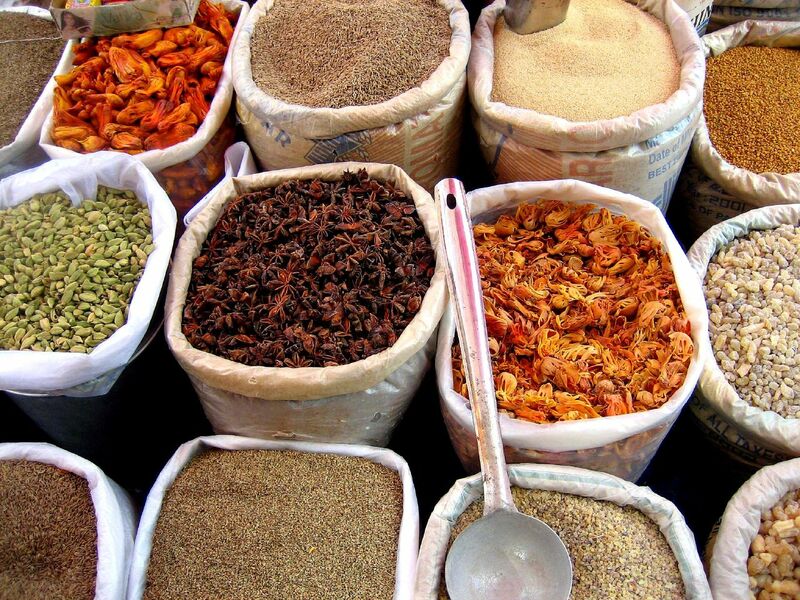 You made me feel home – those spices feels home! A blog is had by me as well, and I think I need to improve the given information I have on there.